Lumentum is the premier full-service broker for institutional tax lien investors. At any given time, our highly active secondary marketplace contains dozens of pools of certificates with total face values in the tens of millions of dollars, and our full-service brokerage desk is always available to support both buyers and sellers. 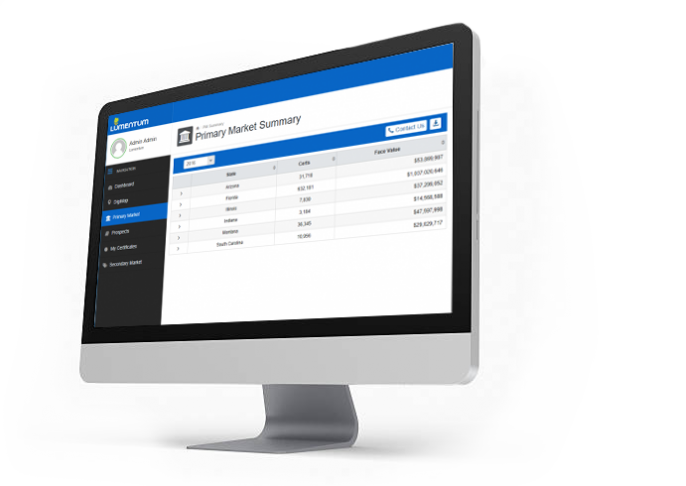 Our tax lien marketplace is fully integrated with our state-of-the-art DigiPan due diligence platform, giving you access to consistent, actionable data on every pool and certificate. See mortgage details, environmental data, historical information and maps on every parcel, all in one place. You’ll never have to search for data or upload your own … it’s already there. At Lumentum, we’re focused on driving efficiency into the tax lien certificate market. When you have excess certificate inventory or a need to buy, you don’t have time to wait. That’s why we pride ourselves on closing deals in days or weeks, rather than months. And if you ever need a hand, just pick up the phone and call us; our brokers are waiting with the answers you need. Our brokers specialize in connecting buyers and sellers in the industry’s most active tax lien marketplace. If you see a pool or certificate in our marketplace, it’s available for purchase immediately, letting you negotiate confidently. 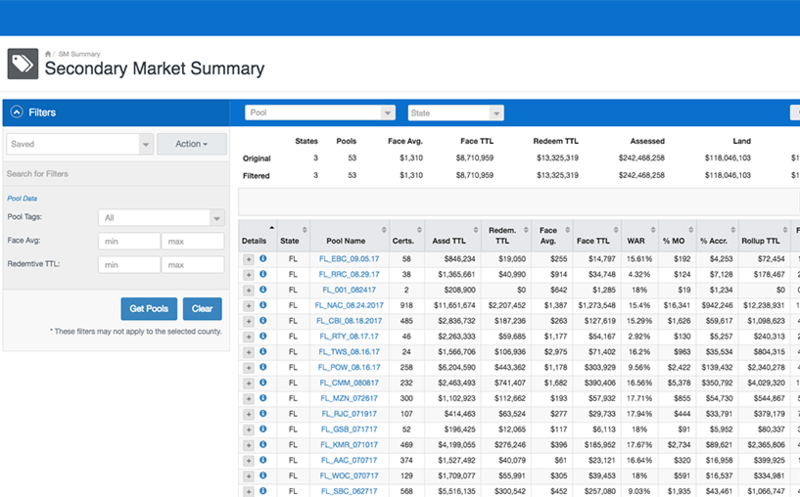 Every listing in our marketplace includes the industry’s most complete dataset, including value, age, FV to RV and more. Find out how Lumentum can do all the legwork for you and provide you with the most accurate and up-to-date tax lien data.